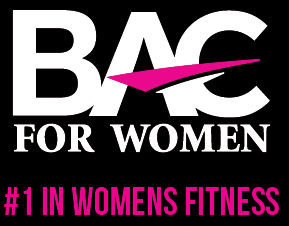 BAC for Women Evans location in Williamsville seeking a Dynamic Certified Personal Trainer interested to help grow our 30 minute Power 30 Personal Training Program alongside our veteran trainers while providing a larger flexible program opportunity! Must be Certified by a nationally recognized Certifying body. Must have experience with personal training in small groups of diverse fitness levels and goals. Opportunity for an attractive income based on self-starter abilities. Have you ever filed any application with us before? If Yes, please explain; a conviction record will not necessarily be a bar from employment. Factors such as age at time of offense, seriousness and nature of the violation, and rehabilitation will be taken into account. IT IS VERY IMPORTANT THAT YOU READ THIS SECTION CAREFULLY, AND THAT YOU FULLY UNDERSTAND IT BEFORE YOU SIGN IT. THIS SECTION AFFECTS YOUR LEGAL RIGHTS. IF YOU HAVE ANY QUESTIONS PLEASE ASK BEFORE YOU SIGN THIS APPLICATION. I certify that answers given herein are true and complete to the best of my knowledge. I authorize investigation of all statements contained in this application for employment as may be necessary in arriving at an employment decision. This application for employment shall be considered active for a period of time not to exceed 45 days. If I wish to be considered for employment beyond this time period I should inquire as to whether or not applications are being accepted at that time. I hereby understand and acknowledge that, unless otherwise defined by applicable law, any employment relationship with this organization is of an "at will" nature, which means that the Employee may resign at any time and the Employer may discharge the Employee at any time with or without cause. It is further understood that this "at will" employment relationship may not be changed by any written document or by conduct unless the President of this organization specifically acknowledges such changes in writing. In the event of employment, I understand that false or misleading information given in my application or interview(s) may result in discharge. I understand also, that I am required to abide by all rules and regulations of the employer. Proof of citizenship or immigration status will be required upon employment. I,understand and agree that BAC for Women, Inc., any agent acting on their behalf, as well as any other person responding to a reference request pursuant to this application, specifically authorize said disclosure and agree to hold all such corporations, agents, or persons harmless for same. That is, I will not file a lawsuit, claim, or charge against them for such disclosure. Nor will I threaten same or otherwise seek any kind of compensation for such disclosure.